The building’s unique shape is a reflection of the corresponding curving Metro Rail that passes close by. 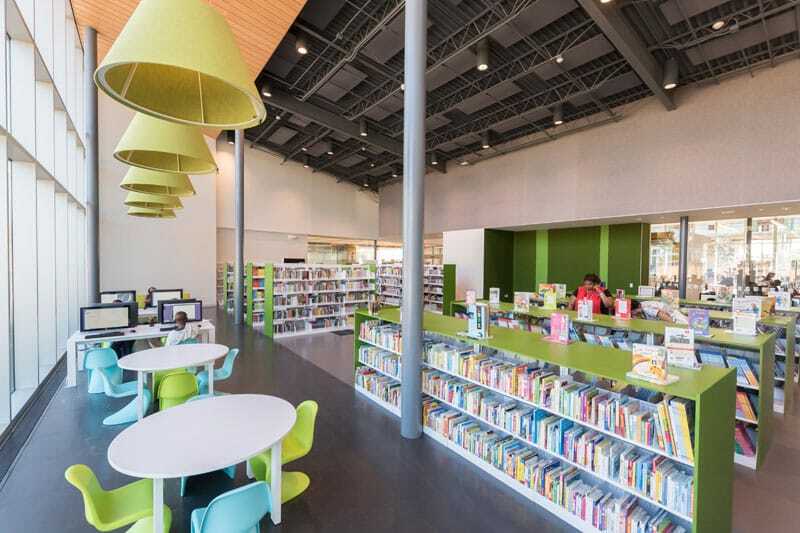 Gilbane recently provided construction services for the new Young Neighborhood Library located in Houston, Texas. 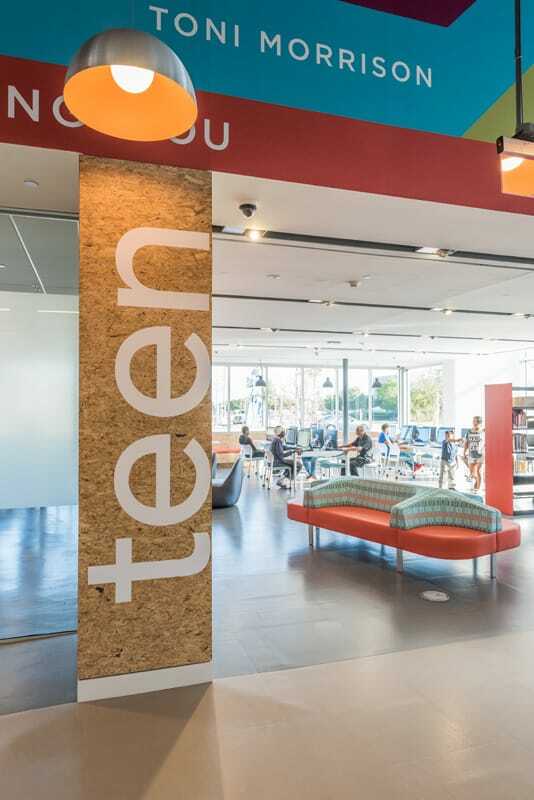 The Young Neighborhood library originally opened in 1957 and for quite some time resided in a strip mall about two blocks from the new site. The new facility increases the size of the library, offering more resources as well as more space for the community. 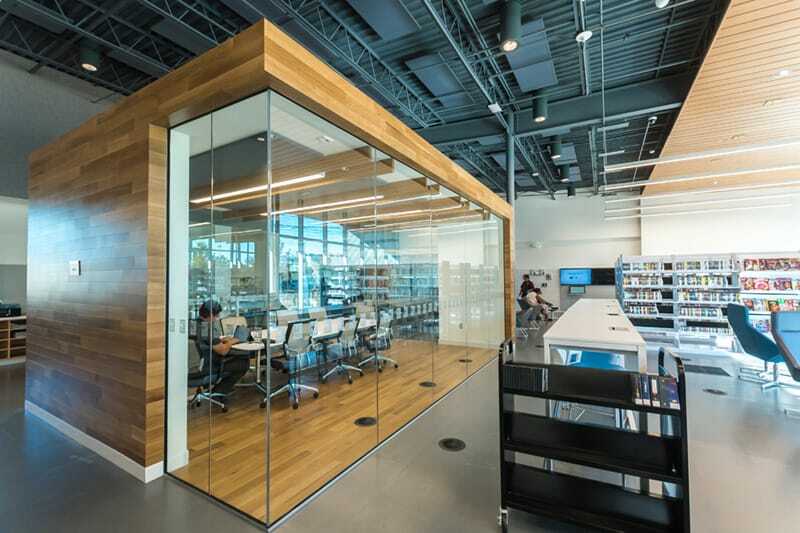 This new 16,000 SF library is a single story building with a steel frame on concrete slab on grade. 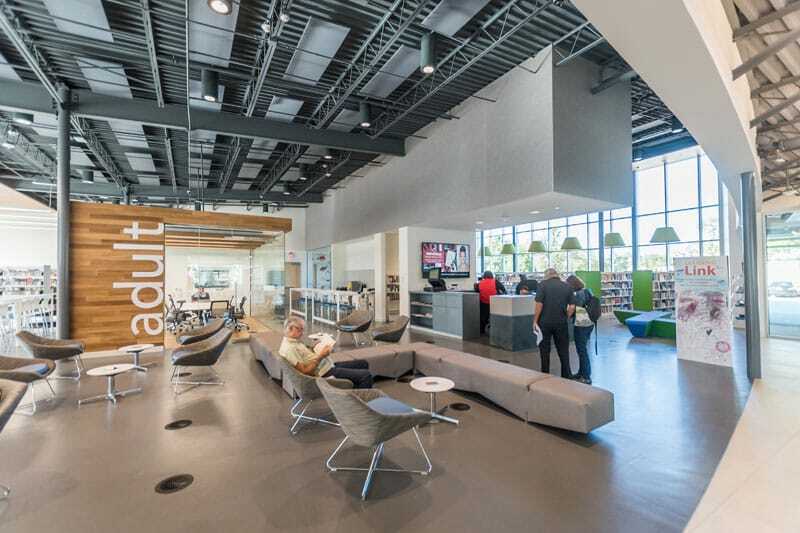 The interior of the structure features raised flooring, metal panel ceilings and an open concept, with a strong focus on clear site lines for public safety. The site consists of a concrete parking lot with easy access on two sides. The building’s unique curvilinear shape in two dimensions is a reflection of the corresponding curving Metro Rail line that passes in close proximity to the site, in an architectural attempt to obtain symmetry with the surrounding neighborhood. The design was developed based on a unique series of public dialogues and workshops between the City, the local community, and the Design Team. The project is seeking to obtain LEED Silver.